Uncle George behind me umping while I do my best to be Gary Carter. If you’re any kind of Mets, Expos, or baseball fan from the 80s it’s likely that you’ve heard about Gary Carter’s fight with brain tumors. Maybe you’ve heard about it even if you’re not any of the three types of people I just mentioned. Regardless, this news has struck me in a way I was not expecting. Gary Carter was my hero. Like many young kids, I wanted to be a baseball player. As such, I needed an idol to emulate. Gary Carter was it for me. 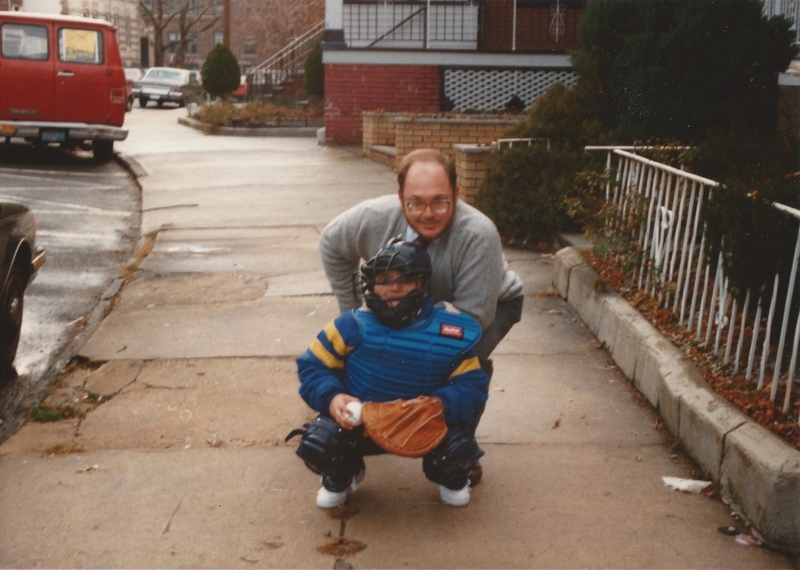 I made my mind up that I would be a catcher, with perhaps an occasional stint at first, just like Gary. I tried as best as I could to emulate is stance behind the plate; feet wide apart, mitt pulled in tight, free hand behind the right leg. I tried his hitting stance too, but this was too uncomfortable. He kept his elbows out too far for my liking, so I figured defensive imitation was enough. I watched him on TV and, occasionally, I got to see him live at Shea Stadium when my Uncle George would take me to see a game. These were great rimes for me. I got to watch my favorite player of all time (even today) and talk to my uncle that seemingly knew everything about the game of baseball, and whom I loved dearly. I can still remember those few times I was lucky enough to see my idol hit one out of the park and celebrate it with my uncle with high fives and hugs. Of course, time changes everything. Gary got “old” and left the Mets and retired within a few years. I started to grow up and realize that idolizing a ballplayer didn’t make me any better as one. The times Uncle George and I got to go to the park together become few and far between for any number of reasons. 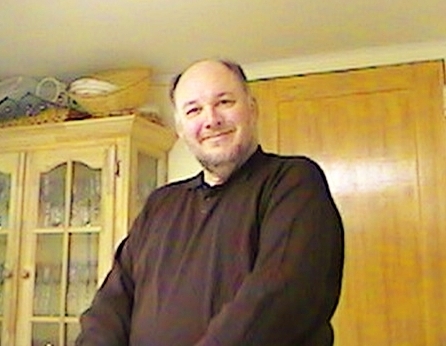 In November of 2005, George lost his battle with cancer which devastated me and my family. In my mind, nothing has ever been the same. He was more than an uncle to me. He was like my second father. I know very well how lucky I was to have two great men to be role models for me (my father being the first, of course). That doesn’t make it any easier to be without him. Truthfully, it makes it harder. I have thought about him nearly every day since his passing, and the pain hasn’t gone away, though we have no choice but to endure. When the news of Gary Carter’s tumors came out a few days ago, I was sad. Sad for my hero. Sad for the suffering of another human being. Sad for Gary’s family. But mostly, I was (am) enveloped in the sadness that I, and my family, have been enduring these past five and a half years. It came back almost renewed. It’s funny how your mind can intertwine things. Gary and George never met. They’ve never been closer than a few hundred feet from each other. But somewhere in my head, they’re closely related. They are both part of my happiest memories. They both have a place in my heart. I am hoping that Gary can beat the odds. I hoping for him as much as I had hoped for Uncle George. I know it’s mostly selfish, but with Gary still around I still have a special link in my head with my uncle. I’ve been wishing Gary would get the Mets managerial job one day and I will continue to hope for it. Thank you for being a special part of my relationship with my uncle, even if you never knew it. Good luck, Gary! Uncle George, I love you and miss you. Let’s Go Mets! 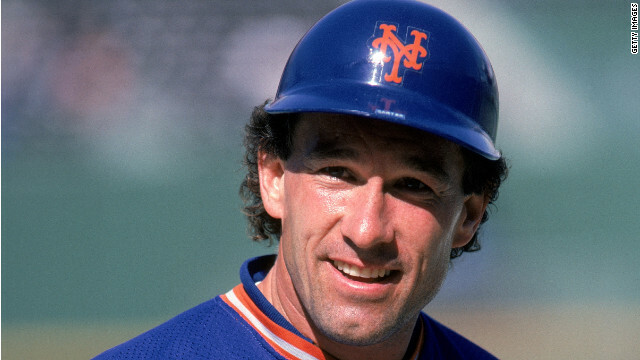 At 5:15 pm today, I heard that Gary Carter had succumbed to his cancer. Even though I knew this would likely be the outcome for Gary, I took the news with great shock and a profound sadness. If nothing else, I am a man of logic. I think that’s why I’m baffled by my reaction to this news. I am utterly sad for the death of Gary, a man whom I have never met, a man whom was never closer than a few hundred feet to me, a man whom never knew I existed. I know you’re asking “Did you cry?” And I will plainly say, “Oh yeah.” Of course, I can play armchair psychologist and delve into my psyche, but I’m not going to do that. I am just going to say that I am almost as sad as if a friend of mine had died. Illogical? Probably. But he was my hero. I wanted to be like him. And the more I hear about him, I couldn’t have picked a better man to idolize. Two of my heroes are gone and I hope they’ll be meeting each other and hanging out together soon. This entry was posted in My Random Thoughts and tagged cancer, Family, Gary Carter on June 2, 2011 by Dan G..